Canada’s privacy commissioner is looking into complaints about whether Facebook Inc. (FB.O) gave Royal Bank of Canada (RY.TO) access to private information of users of the social media giant. The Office of the Privacy Commissioner of Canada is investigating complaints from individuals over Royal Bank’s “alleged role in receiving information from Facebook," Privacy Commissioner Daniel Therrien said in Ottawa last week in a Standing Committee on Access to Information, Privacy and Ethics. The issue stems back to a payments feature Royal Bank developed and offered customers between 2013 and 2015, allowing them to transfer money through Facebook’s messaging system. 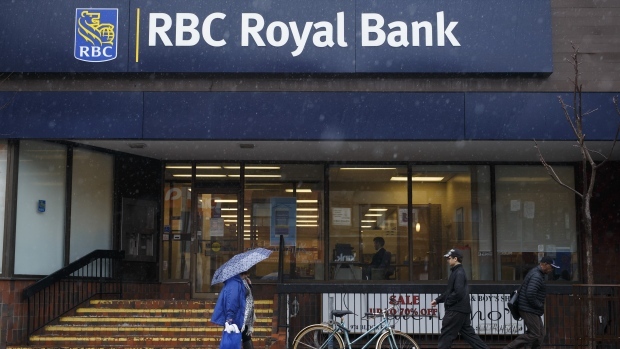 “The Office of the Privacy Commissioner confirmed that RBC is not under investigation in this matter," bank spokesman AJ Goodman said in an email. “RBC spoke with the OPC in January about how this service worked but that discussion was not part of a formal investigation into RBC." Royal Bank’s internal dealings with Facebook surfaced in December as part of a trove of internal correspondence published online by U.K. lawmakers. The Toronto-based bank was also named in a Dec. 19 New York Times report as one of more than 150 companies that were given access to Facebook users’ personal data. Facebook published a statement following that report that said its partnerships or features didn’t give companies access to information without people’s permission, and Royal Bank said separately at the time it didn’t have the ability to see user messages. Facebook didn’t immediately respond to an email request for comment. Vancouver-based online publication The Tyee reported on Jan. 30 on Facebook’s dealings with Royal Bank, prompting queries from parliamentarian Charlie Angus to Canada’s privacy commissioner at the Jan. 31 committee meeting in Ottawa. The privacy commissioner is separately investigating Facebook and Cambridge Analytica regarding alleged unauthorized access and use of Facebook user profiles. That investigation, initiated in March last year, is looking into Facebook’s compliance with Canada’s federal private sector privacy law. CORRECTION: A previous version of this story incorrectly identified which company the Office of the Privacy Commissioner of Canada is investigating.